Chai Latte is so utterly delicious! My best friend and I used to meet up Sunday night and talk about the past week over several glasses of hot Chai Latte - in my opinion the best drink for a comfortable night with a friend! This drink should be delicious! Hi! 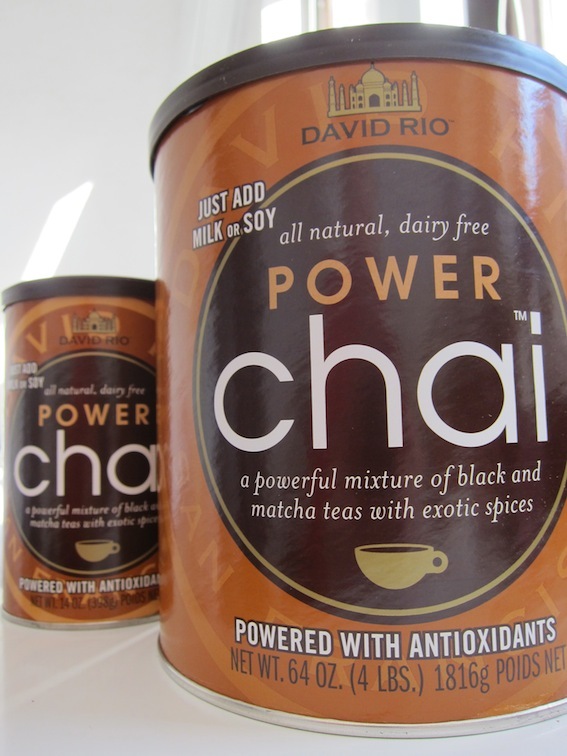 I had an indian friend who used to drink Chai tea. He taught me to drink it without water, just hot milk and a bit of sugar. Is delicious! I never heard about it before. What is that? A tea/coffe? Mmmm, I will try it somehow but now I'm going to drink a cup of coffee...nah a cup of tea...huh? I love chai tea, especially Teaopia's Masala Chai, but I find that teas with a black tea base dry out my throat really bad, so I avoid it when I have to sing. But, the masala chai made with just hot water and agave nectar is amazing. It's good with a splash of milk too. You should try it the next time you're in Canada. Teaopia only has stores in Canada. Sweet Simone! Greetings from Monterrey, Mexico, I already want to listen to your new album! Great Mixture! Greetings from Misiones, Argentina! Keep up your unique voice and music! Happy Birthday Simone! I hope you enjoy your day and you recieve lots of presents and hugs. I admire you so much! I hope I meet you someday. I wish you a wonderful birthday with all your loved ones! With lots of cakes, yammi food, love, good times and lots of luck! hey simone!! ..happy birthday!!!!!!... i wish you a great day.. :) love you .. Happy Birthday! my best wishes!!!!! I hope you had a nice day! Dear Simone, I wish you a happy birthday, enjoy your day! Happy Birthday Simone! Feliz Cumpleaños! Happy Birthday beautiful!♥...kisses from Argentina! Happy Birthday Simone !!! I remember that great epic concert in the culture room December 15 2010, i enjoyed it so much, first line :) i hope u are doing great ! see you in the next tour ! Thanks for all the birthday messages! Very sweet of you! Enjoy your tea Simone. I've never tried that kind before. In Scotland I think only normal tea is aviable. If I ever visit you, I take a splash of milk or soy or almond milk & a tea spoon of sweetner or honey. Just so you know.